At a time when states around the world are considering various approaches to regulating Internet content, GNI is concerned that the government of Australia’s efforts to rush through the "Sharing of Violent Abhorrent Material" Bill could have significant negative impacts on freedom of expression and privacy for Internet users in Australia and beyond. A review of Europe’s Internet Referral Units shows the need for greater transparency, remedy, and accountability. The proposal in the draft EU terrorist content regulation to expand government take-down referrals to companies poses similar, if not greater, risks for users' freedom of expression and privacy. 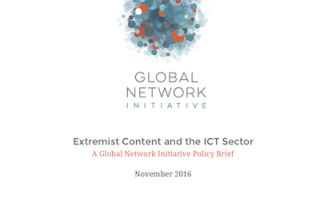 As drafted, the proposed European regulation on preventing the dissemination of terrorist content could unintentionally harm users’ rights and undermine legitimate efforts to document and counter extremists’ online activity. Argentina's draft law on the responsibility of Internet intermediaries would serve as an important benchmark regionally and globally, facilitating innovation & investment and fostering Freedom of Expression online. GNI encourages the Chamber of Deputies to pass it into law as drafted. Special Rapporteur David Kaye issued a report to the Human Rights Council on the regulation of user-generated content online.  GNI submitted input to this report, and the recommendations for companies included elements of the GNI Principles and Implementation Guidelines.